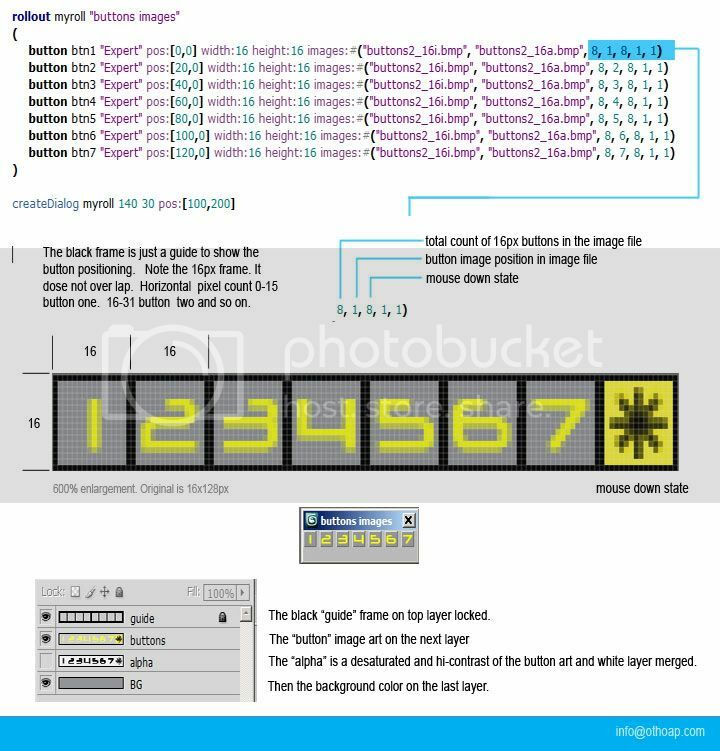 A MaxScript button image layout how to. Included below (buttons2_16.zip) are the maxscript text and photoshop psd files shown in the tutorial. I can sum up the whole exercises with one word "spacing". Pay attention to the 16px dimensions show here. The psd file includes a frame guide layer showing correct button spacing.